A single mum was forced to sell her clothes to stop her family from starving after being put on Universal Credit. Leanne Barnett endured months of hell battling to survive and keep a roof over her head when she started receiving less benefits than she was legally entitled to. 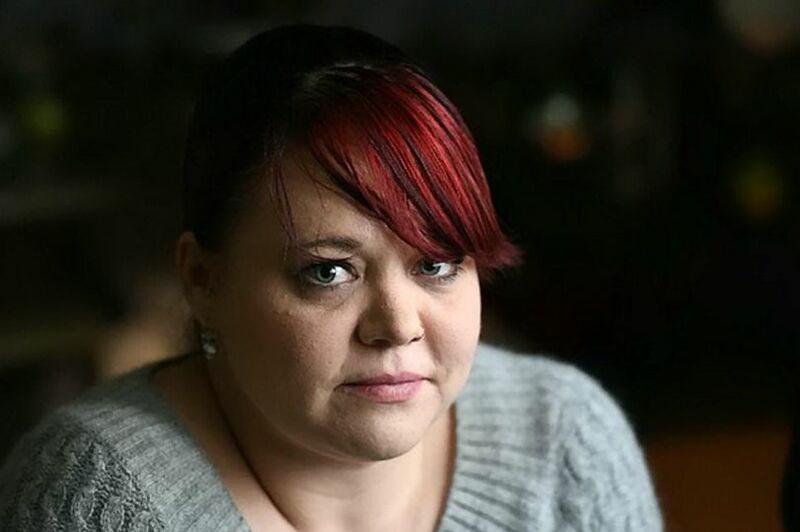 Her ordeal began this June when she stopped receiving enough cash to cover her rent because Universal Credit welfare officials thought she was living with her ex and didn't need the extra money. Leanne spent months trying to prove she was in fact living alone with her 14-year-old daughter in Plymouth, Devon. She wasn't working due to injuries sustained in a car accident and her battle with long-term health condition Fibromyalgia. Yet all Leanne continued to receive was a basic child support allowance and statutory sick pay, which didn't cover her rent, bills and food. This left her with no choice, she has claimed, but to sell her clothes and anything else of value in her Plymouth Community Homes managed property in order to stay alive. She told Plymouth Live: "I paid what I could in rent, when I could, and had to start selling stuff to make money. "I was selling clothes, appliances, exercise equipment, anything really." Leanne wanted to share her story to highlight the emotional toll of Universal Credit, a new benefits system which replaces six forms of credit with one monthly payment. Having racked up rent arrears of almost £1,000 last week she came close to being evicted, despite coming to an arrangement with the council. Leanne said her situation is being made worse by the fact she has to pay 'bedroom tax' - a levy imposed on families with spare bedrooms. She added: "My depression is worse, and when I get anxious about money it makes my Fibromyalgia worse. "It's going to be hard getting out of the cycle of debt and the problems it's caused. "I don't know how long it will be before I'm on top of everything." "I feel let down by the system, it's completely messed up." She added: "The people in charge should let people know in the first place that Universal Credit and housing benefit are a single thing. "They don't tell you anything; you just get your money and assume you've got all that you need to cover everything. "The Government needs to put the benefits system back to how it was, with multiple payments so you knew what everything was for. "They sit in their cosy offices and don't realise that real people struggle day to day because the system doesn't work."